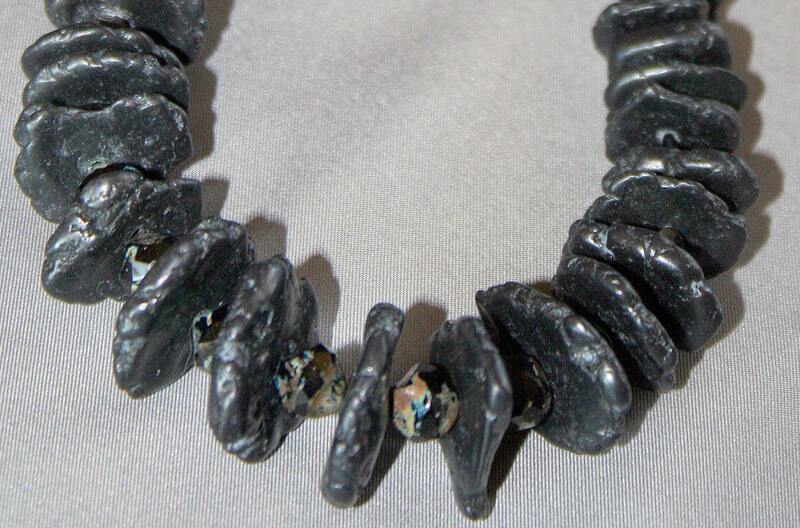 This necklace is made from lava rock created by a volcano in Hawaii. It is actually mud that was spewed out at high temperatures and force. The natural shapes are separated by Czech glass beads that have earthy colors on a black matrix. 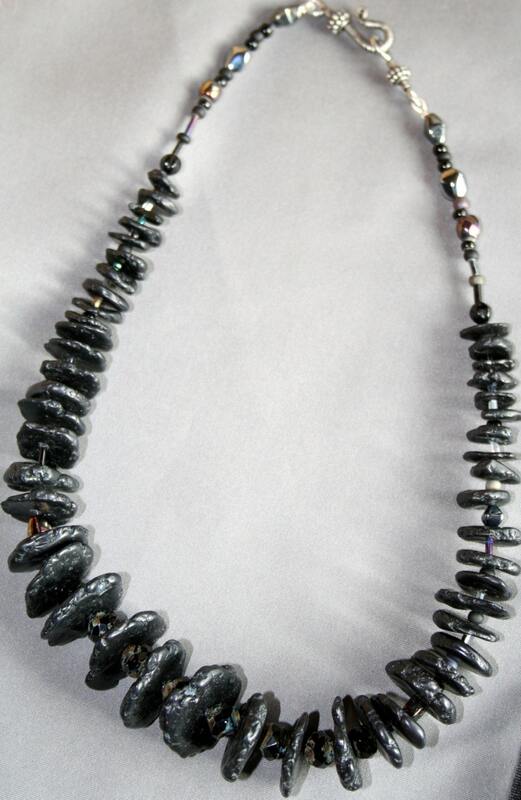 The necklace is graduated so it flows from large beads in the front to smaller ones at the back of the neck. 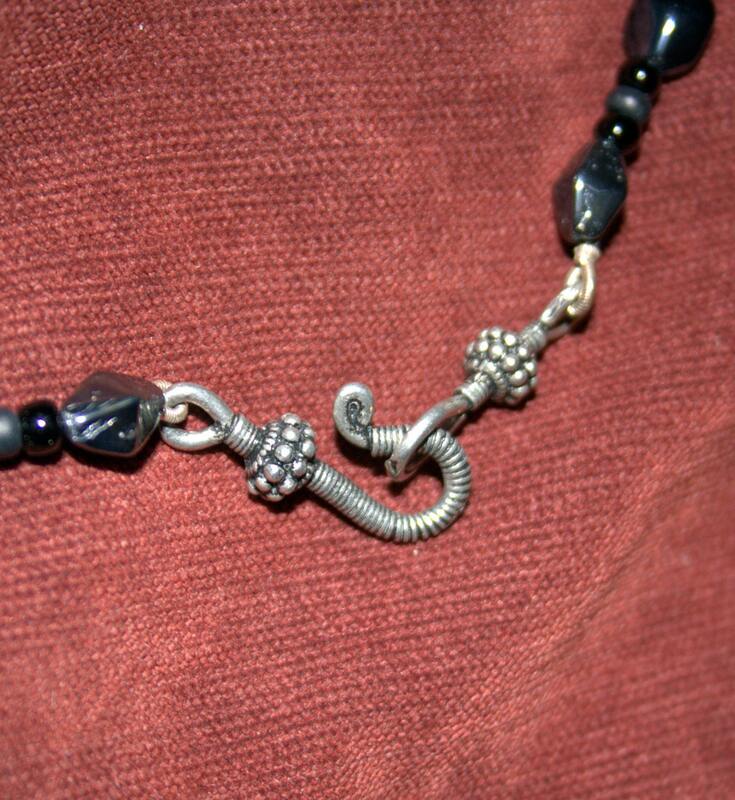 There are interesting black beads that go up to the clasp which is a Bali silver hook and eye clasp. The necklace is 20 inches long and is simply elegant.